Central School Museum, Kalispell, Montana built in 1894, taken Aug 29, 2012. 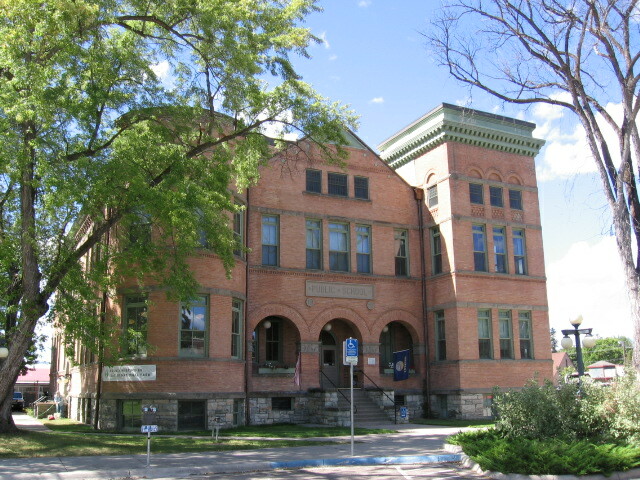 Built as Kalispell's original school for grades one through twelve it remained in use until 1993. Today the Central School Museum has over 20,000 files pertaining to historical events and people of Flathead County. Rd in Kalispell. All programs are free and the public is welcome to attend. Some programs and meetings may occur at other locations as specified. Listed below are the program topics for the next several months. Also, if you are not familiar with the location of the LDS Church, a map has been provided below of the church's location. Partial Schedule of Programs For 2018! ​This month's program will cover the history of the company owned mill town Somers, here in Flathead County! Our guest presenter will talk about the history of the community and local records. ​This month FVGS is conducting a research shop! Bring your research and connect with people also doing research in your geographical area! Members will be on hand to assist with new genealogy beginners as well as those who have years of experience! Partial Schedule of Mini Programs For 2018! ​Mini Programs are currently on hiatus.